It was a tremendous afternoon of racing at Sam Houston Race Park with thrilling performances by Tiger Moth in the Grade 3, $400,000 Houston Ladies Classic and another win for trainer Mike Maker in the Grade 3, $200,000 Connally Turf Cup. In its sixth running, the Houston Ladies Classic's previous winners include Joyful Victory, Cassatt, Unbridled Mo and Forever Unbridled, the 2016 champion, who was honored as Older Female champion in Thursday's Eclipse Awards at Gulfstream Park. Tiger Moth, sent off at 17-1, rewarded her supporters with a win payout of $36.60. She earned $240,000 for the victory, increasing her lifetime bankroll to $642,107. Martini Glass, ridden by Paco Lopez, ran third followed by Sandy's Surprise, Ready to Confess, Valadorna, Adore and Promise of Spring. The first running of the Houston Ladies Classic in 2013 was formed to serve as the marquee race for Sam Houston Race Park's Thoroughbred racing season. It was awarded its graded status by the American Graded Stakes Committee in December, 2015 and remains the richest Thoroughbred race in Texas. 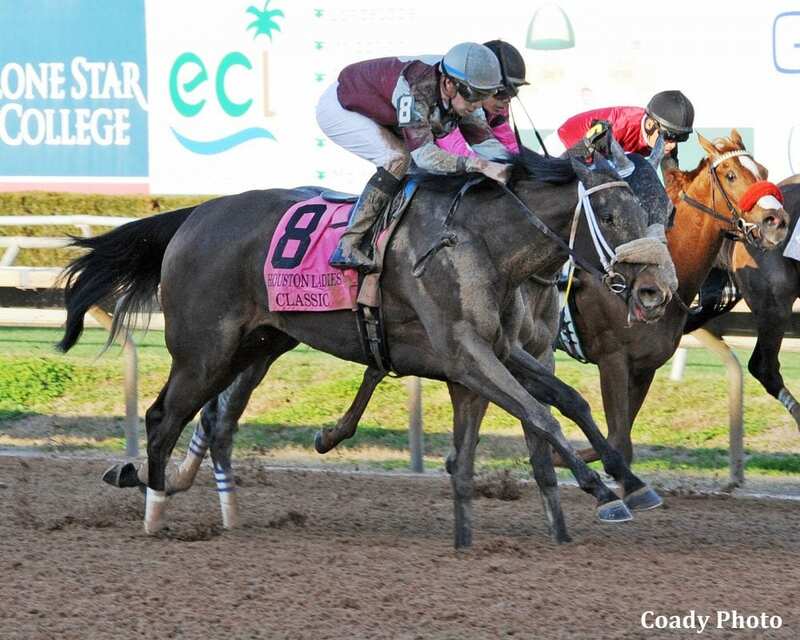 The Houston Ladies Classic will be the first stakes of the Penn Gaming Racing Challenge. Now in its fifth year, it will incorporate over 20 stakes races in 2018 worth over $5.5 million. This entry was posted in NL List, Racing and tagged brad cox, Florent Geroux, houston ladies classic, John Gunther, sam houston, Sam Houston Race Park, Street Sense, tiger moth by Martha Claussen. Bookmark the permalink.